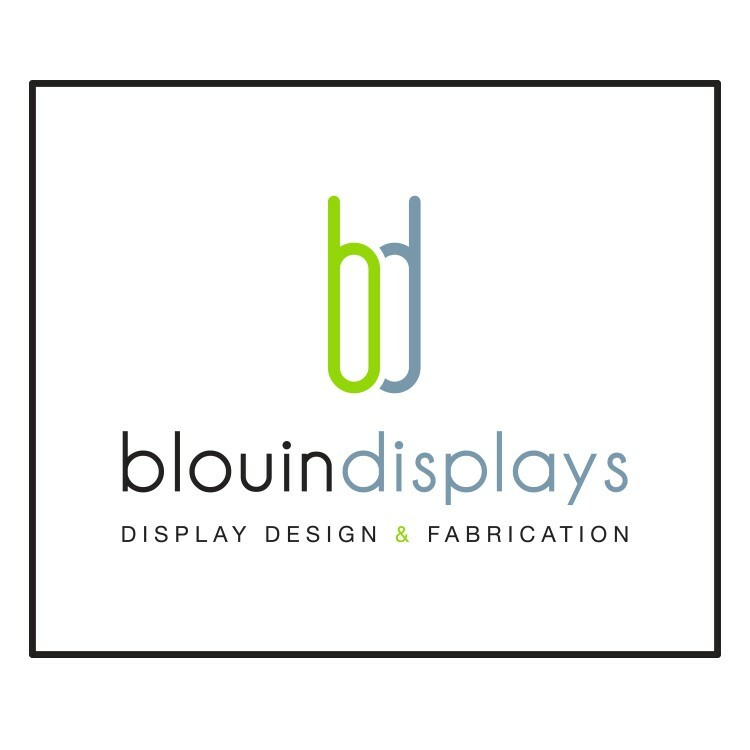 Promote your brand by adding your company's name or logo in up to 4 colors to our acrylic wall frames. 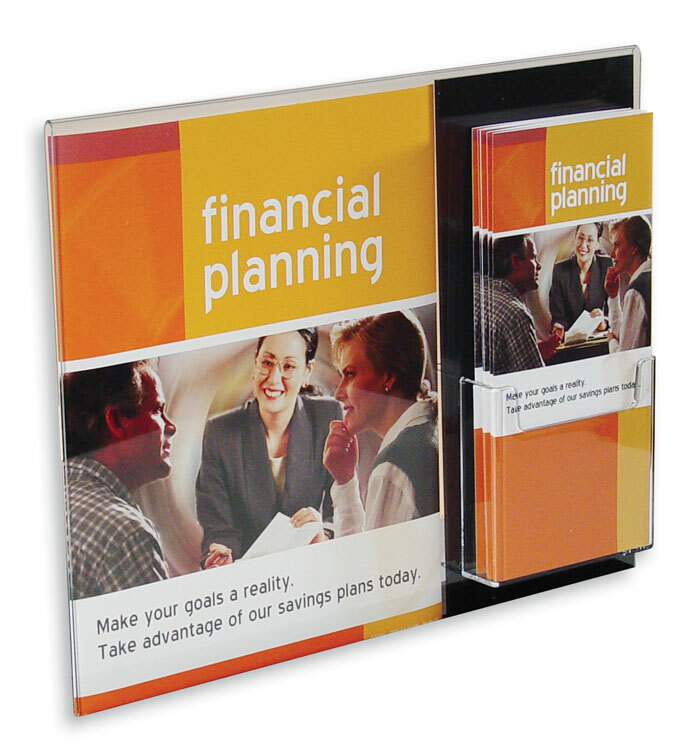 8.5x11 with a 2" header and a brochure pocket. Setup fee applies. 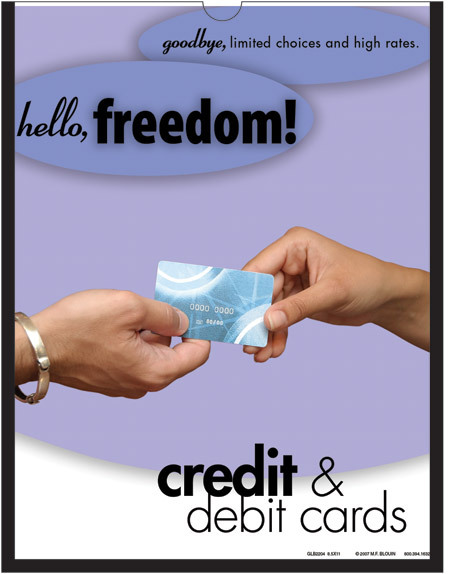 Custom sizes also available - please inquire for a quote. 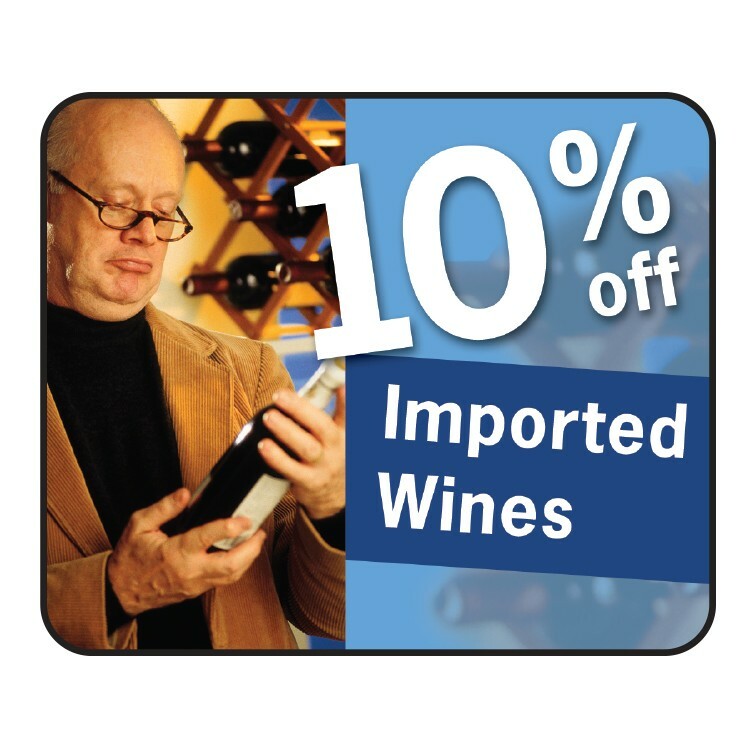 This graphic is ideal for back-lit frames and signs. 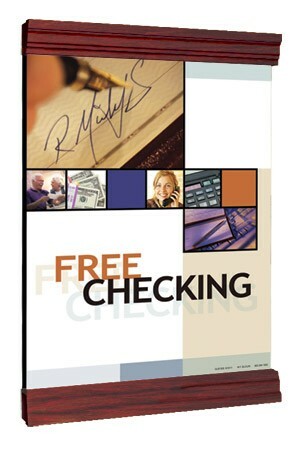 Printed on 9mil premium solvent back-lit film for stand-out images! 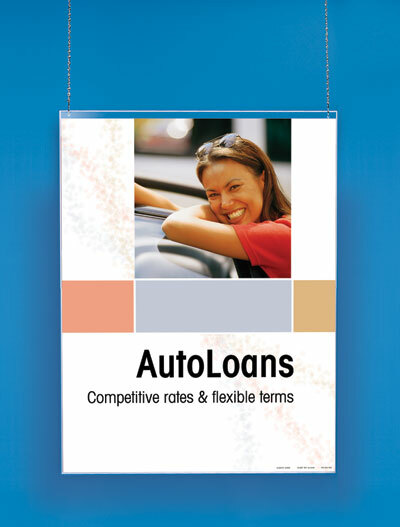 The solvent based inks are weather & UV protected for up to 3 years. 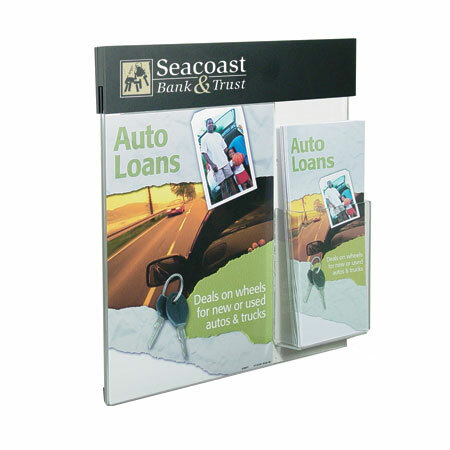 Acrylic literature holder for 8-1/2"w x 11"h brochures, catalogs, and other marketing/sales materials. The 4" face is perfect to customize with your logo! 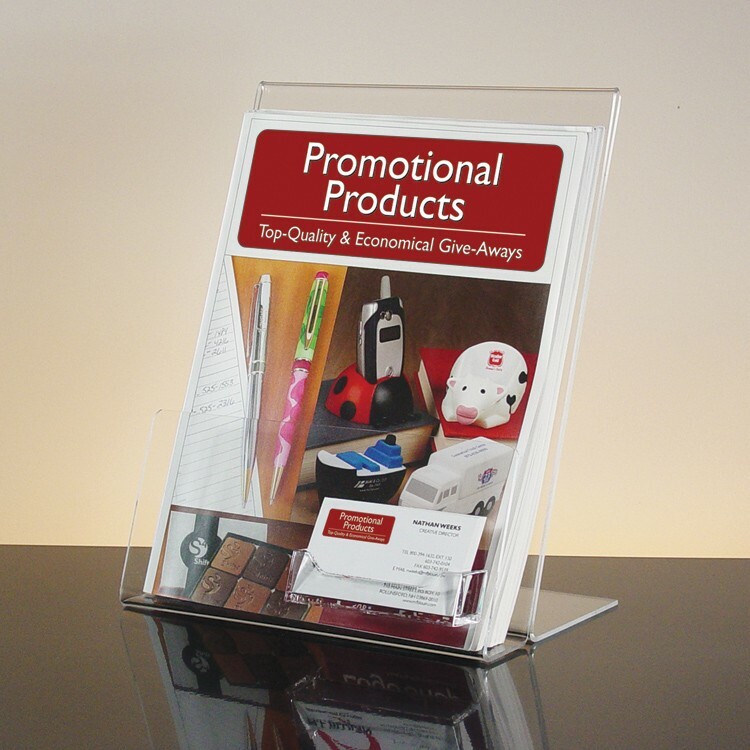 Made from quality polished clear acrylic, this brochure holder is available with or without a business card pocket. 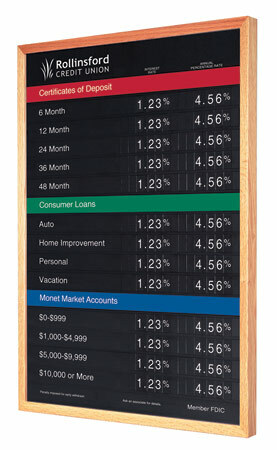 Promote your brand by adding your company's name or logo in up to 4 colors to our acrylic wall frames. 8.5x11 with a 2" header. 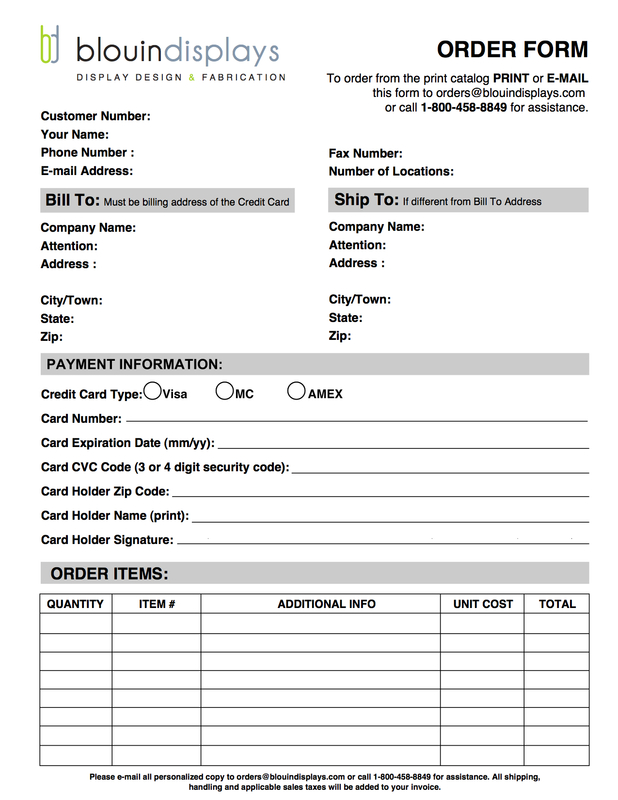 Setup fee applies. 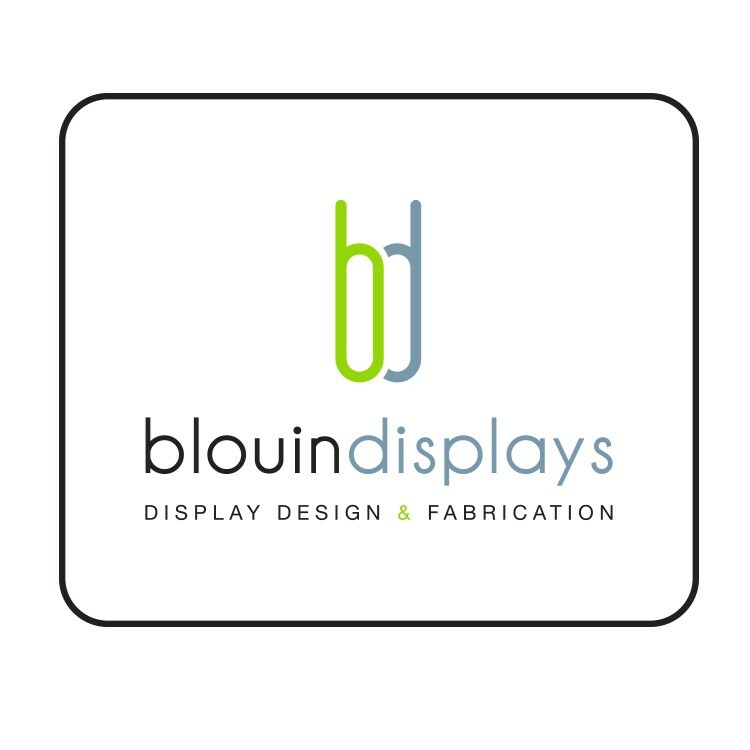 Custom sizes also available - please inquire for a quote. 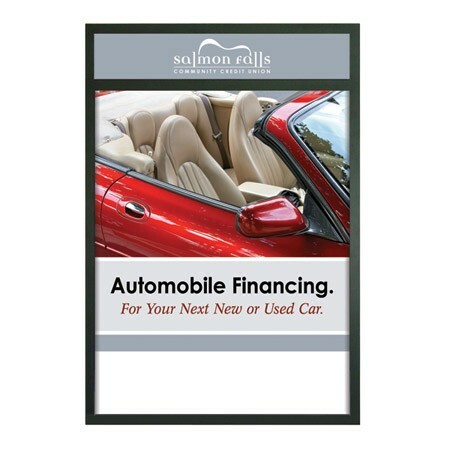 Durable Sintra poster frame for 8-1/2" x 11" poster. 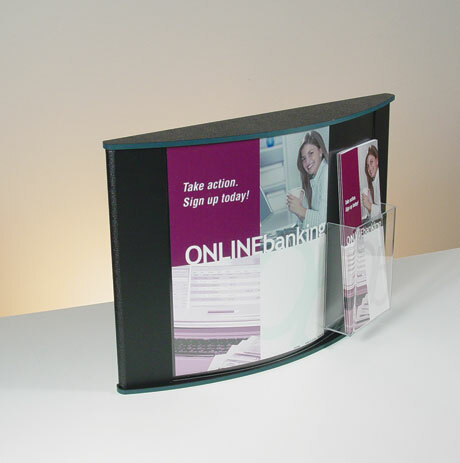 Poster easily slides in through the side of the poster holder. Includes non-glare acrylic faceplate. 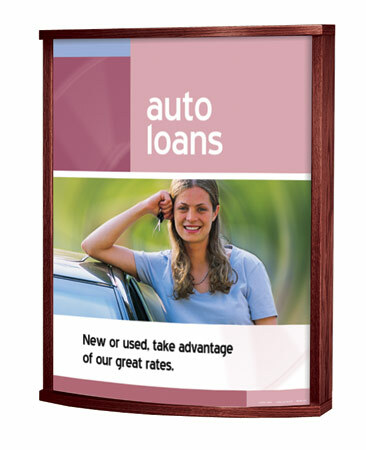 Elegant hardwood wall frame for 22"w x 36"h s. Use to display your current promotions and services in your customer areas. 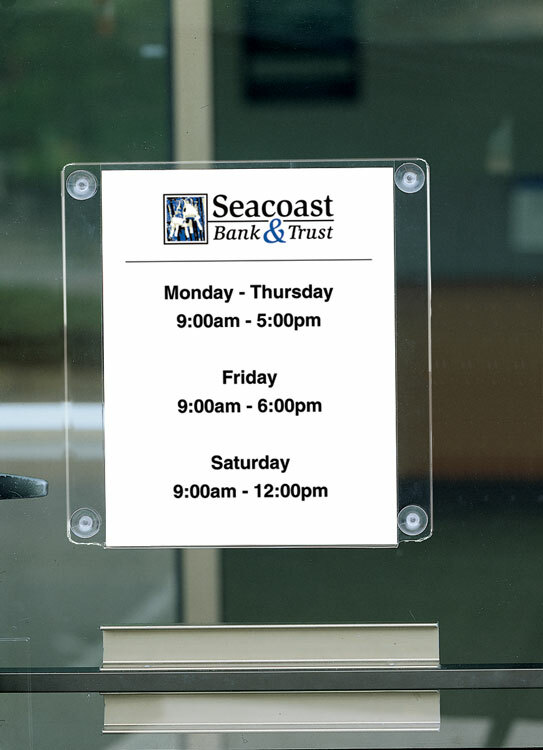 Clear non-glare acrylic faceplate and mounting hardware included with each frame. Available in light oak, cherry, mahogany, golden oak and black finish. 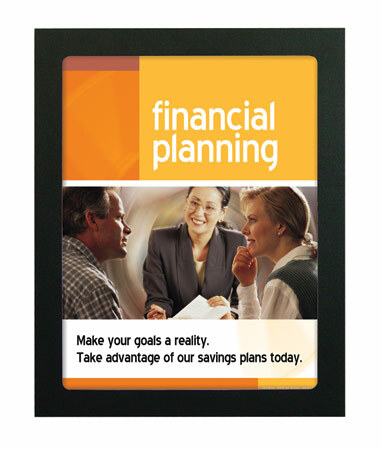 If you have graphics that need to be changed constantly, this silver aluminum snap-frame is the perfect solution! 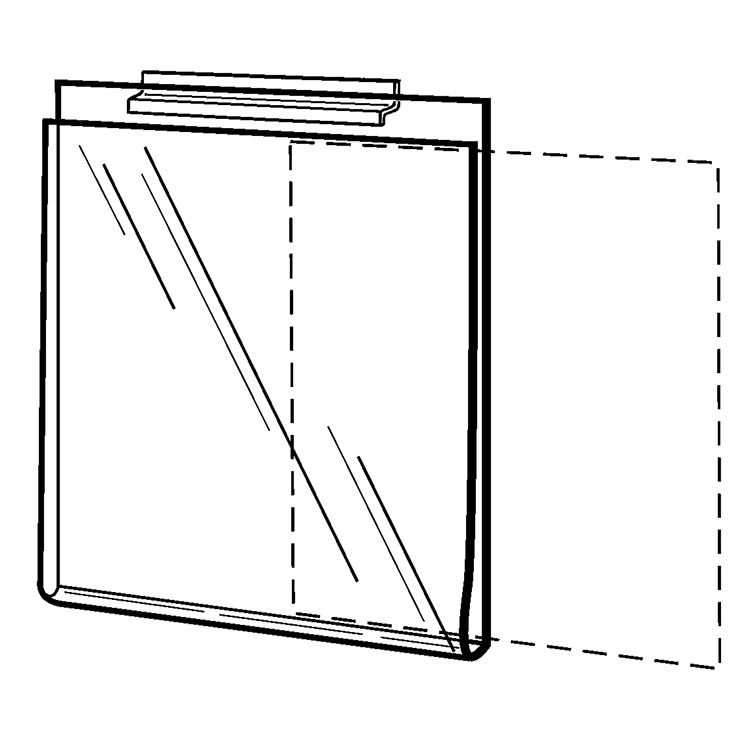 Holds 8.5"w x 11"h graphics. 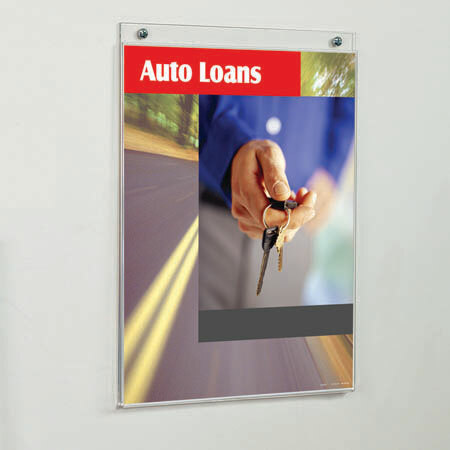 Acrylic non-glare poster holders help to reduce annoying light reflections. 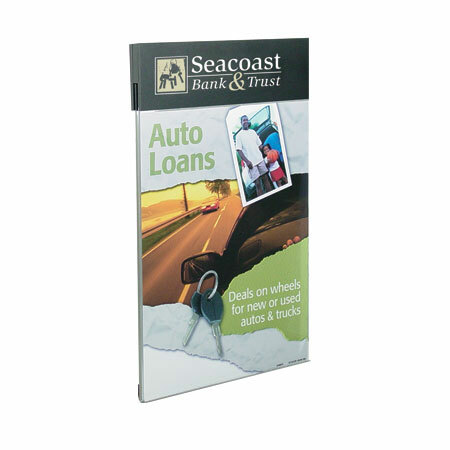 Poster holders come complete with hanging hardware kit (includes two 10 foot lengths of chain for drop ceilings, easy instructions and all necessary hooks). 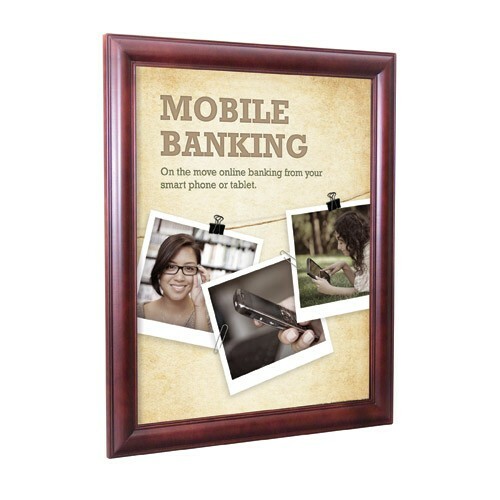 Elegant hardwood wall frame for 22"w x 28"h s. Use to display your current promotions and services in your customer areas. 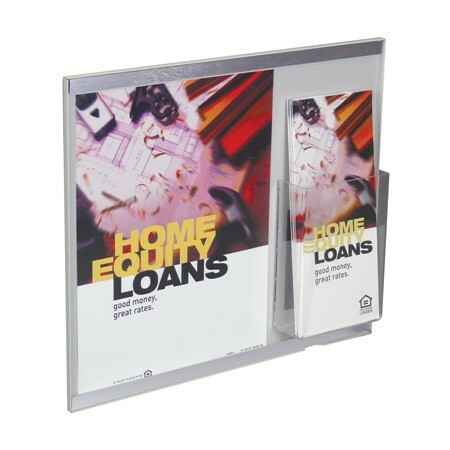 Clear non-glare acrylic faceplate and mounting hardware included with each frame, as well as a 5 pocket brochure holder. Available in light oak, cherry, mahogany, golden oak and black finish. High quality craftsmanship! 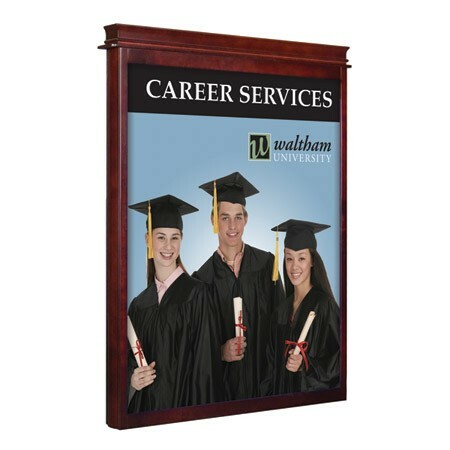 This convex wall frame showcases 22"x28" inserts and is hand crafted from solid hardwood. Choose from 4 finishes. 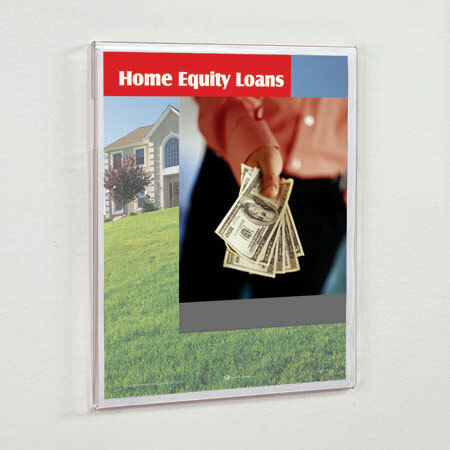 Comes complete with a clear acrylic faceplate and mounting hardware. Available in light oak, cherry, mahogany, golden oak and black finish. Clear acrylic face with 1/4" black accent pieces supporting three sides. 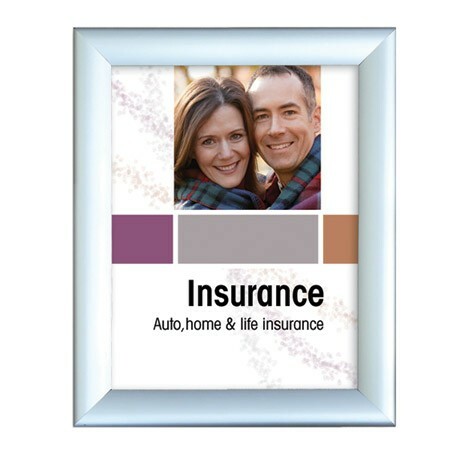 Posters slide easily into the top of the frame. Mounts with double-sided adhesive tape. 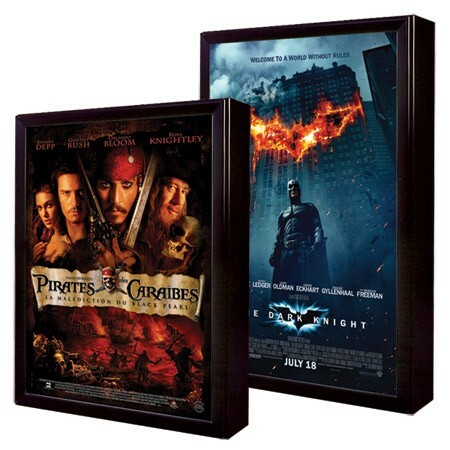 8-1/2"w x 11"h poster holder shown. Custom Sizes Available - Call for details.